Maddie Gudrian is entering her senior year at Bishop Blanchet High School. She is excited to be an editor of The Miter, The Miter Mag, and The Pallium 2019. Maddie is looking forward to writing political, social, investigative, and local news articles. As an editor, she hopes to expand her creativity in her writing, help and collaborate with her staff, learn from her staff for The Miter and The Miter Mag. 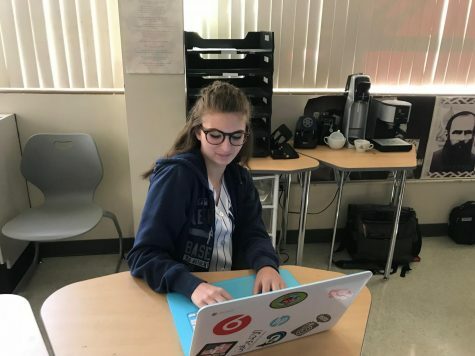 As a yearbook editor, she hopes to create the best and most creative yearbook that Bishop Blanchet has ever seen. She likes to read The Wall Street Journal, The New York Times, CNN, The Washington Post, and BBC News. She watches World News with David Muir, NBC Nightly News with Lester Holt, and the local news on a daily basis.